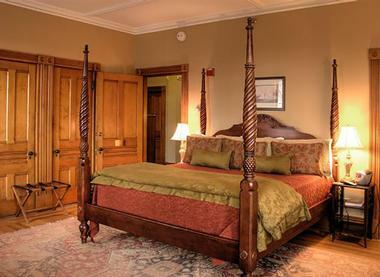 Burlington, VT is filled with romantic bed and breakfasts, guest houses, and inns. 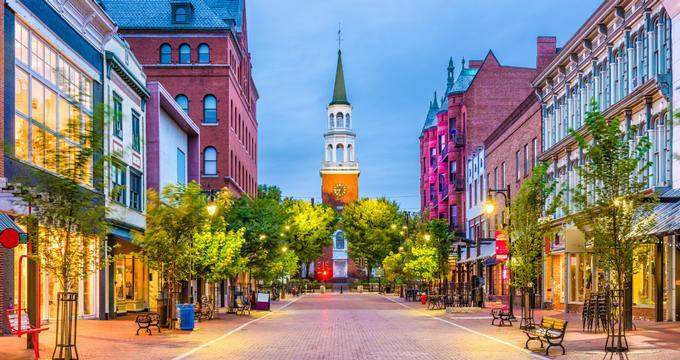 While these types of accommodations are typically found in the historic districts, Burlington as a whole is a cosmopolitan and vibrant city. For couples, a stay at one of these romantic inns it the perfect base for exploring the surrounding area. The Hotel Vermont is a lakefront hotel in downtown Burlington, Vermont, situated on the shores of scenic Lake Champlain. 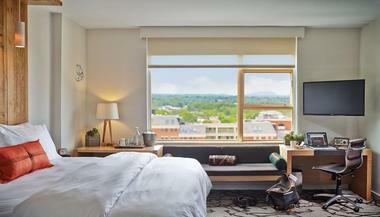 Every one of the guest rooms in the hotel are welcoming airy, offering a balance of open design and private space and featuring a sophisticated style with natural materials. Located with just a few steps from the Hotel Vermont of three of the best restaurants in Burlington: Juniper at Hotel Vermont, Hen of the Wood, and Bleu Northeast Seafood. The dining scene of Cherry Street offers locally sourced cuisine, and vibrant ambiance for dinner, dessert, and drinks. One Of A Kind Bed and Breakfast offers unique accommodations with views of beautiful Lake Champlain in a quiet area. Guests can take in amazing sunsets from the two-room suite that includes a private bathroom, or also from the bed and breakfast’s stand-alone small cottage next to the main house. There is also a tree swing in the backyard. A self-catered breakfast is offered every morning that features local food. The suite and cottage both also include free high-speed wireless internet, air conditioning, and windows that can open. On Of A Kind is smoke-free and has a friendly resident cat. 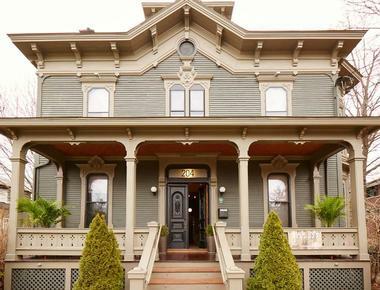 254 South Union Street Guest House was originally built in the year 1887 and is a beautiful Queen Anne style home located in the heart of the Hill Section of Burlington. All guest rooms include a private bathroom, premium cable television, queen-sized beds, air-conditioning, and free wireless internet. Rooms are also stocked with an assortment of free items for a continental breakfast, such as tea, coffee, orange juice, fresh fruit, crackers, cheese, granola, and local organic yogurt. The Guest House is only a short walk away from the waterfront of beautiful Lake Champlain, as well as Church Street. Designed to meet the comforts and needs of the sophisticated traveler of today, the Green Mountain Suite Hotel offers amenities and services that have been chosen carefully to make sure every guest enjoys a true Vermont experience during their stay. The hotel offers a Fireside Reception at no extra charge for hotel guests during the evening on Mondays through Thursdays, which includes a hot meal and a selection of wines and craft beers. The one-bedroom suites feature fully-equipped kitchens, abundant living space, and hardwood floors. A Fireside Breakfast is also provided each morning, including quiche, fruit-filled pancakes, and maple sausage. The Hilton Burlington is located along the water of Lake Champlain, offering great expansive views of the scenic area, as well as views of the picturesque Adirondacks. 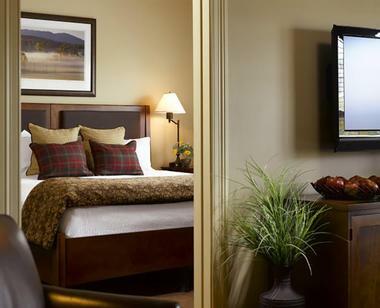 Lake-view guest rooms offer panoramic views of the Adirondack Mountains and Lack Champlain. Guests can take advantage of the fitness room or the indoor pool during their stay, as well as an on-site restaurant and Executive Lounge. There are numerous activities and attractions in the area, including Burlington Segway Tours and the scenic lake cruise aboard The Spirit of Ethan Allen. The on-site amenities and convenient location of the Hilton Burlington offers something for everyone. 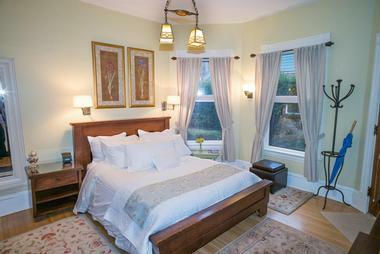 The Howard Street Guest House is an exquisite and spacious suite in the southern Hill Section of Burlington. The bed and breakfast combines the intimacy and charm of a bed and breakfast with extraordinary autonomy and privacy. The immaculate and sunny guest room is takes up the whole second floor of the detached carriage house on the property, less than a mile from Lake Champlain. The space contains a queen-sized bed and an additional single bed, a private bathroom, a kitchenette, a dining area, and living room, exterior entrance, air-conditioning, wireless internet, skylights, and parking. The deck overlooks the landscaped yard. 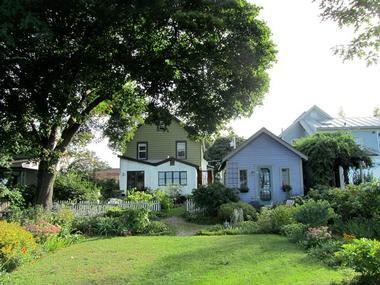 Lakeview Bed and Breakfast is a renovated old home situated within a quiet neighborhood. 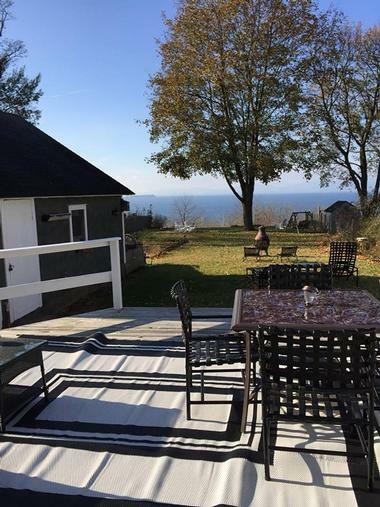 The property boasts amazing views of Lake Champlain, as well as great views of the Adirondack Mountains. The guest rooms on the second floor all have private bathrooms, and off-street parking is available for guests. Continental breakfast every morning is also included with a stay at Lakeview. 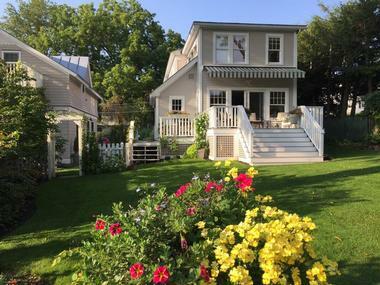 The bed and breakfast is just a ten-minute walk to downtown Burlington, the lakefront, the town’s bike path, and the season ferry to New York. It is also about thirty minutes away from the ski slope. Guests at the Lang House on Main Street Bed and Breakfast will find convenient and comfortable accommodations no matter what they’re reason for coming to Burlington. The staff, from the inn’s dogs to the breakfast chef, are always welcoming and gracious, committed to making the stay of every guest as perfect as possible. Each of the eleven guest rooms have an en-suite bath that includes environmentally-friendly bathing amenities, comfortable bathrobes, and Turkish towels. The breakfast served each morning is inventive, seasonal, and nutritious, featuring a starter that is followed by a creative egg-based dish, pancakes, waffles, crepes, house-made granola, or yogurt. 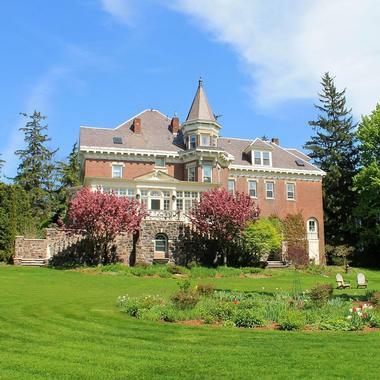 Willard Street Inn offers all of the grandeur of a typical country mansion situated in one of the cultural hubs of Vermont, the city of Burlington. The family-owned and operated inn is located within the picturesque Hill District. Fourteen guest rooms are available at the bed and breakfast with all of the modern amenities travelers would expect. Mornings begin with fresh local ground coffee and a chef-plated breakfast in the solarium that overlooks the inn’s gardens. Willard Street Inn is also a great home base to explore the rest of Vermont, no matter what season in which guests are visiting.